Is Law School Right For You? Which Law School Is Right for Me? 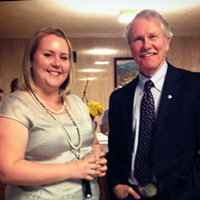 Above photo: Tayleranne and Oregon Governor John Kitzhaber.